Media Inc. is always accepting new story ideas and article submissions for inclusion in the magazine and online. 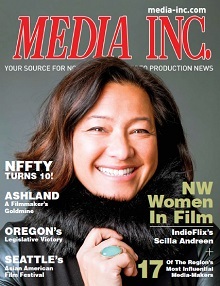 Help us stay up to date with what’s going on around the Northwest by sending us your ideas, as well as editorial on your new campaign, new faces at your company, and recent awards or accomplishments. Send editorial submissions or ideas to Katie Sauro at ksauro@media-inc.com.